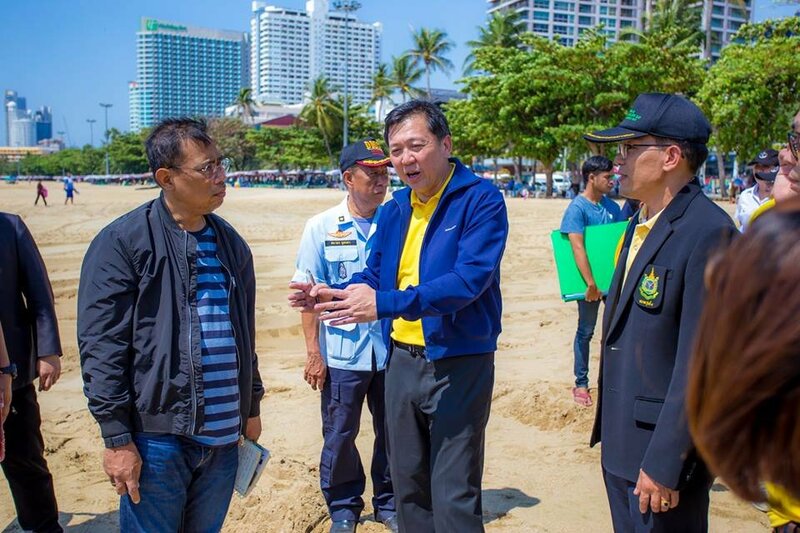 Officials scurried to Pattaya beach yesterday to survey the damage caused by rains to the brand new 400 million baht sands. Chief of the Department of Natural Resources and Environment Jatuporn Burutphat was in conference with the deputy mayor and the harbor department at the scene. Pictures on Sophon TV on Facebook showed backhoes at work and much fresh sand now in place. But nothing could hide the fact this was just a stop gap measure and cosmetics. Jatuporn said the situation was very concerning and the pictures on social media looked simply awful. He spoke of the potential for damage to tourism. He repeated the blame game saying mother nature was the culprit: "We can't do anything about that", he said. He discussed what to do with the Harbor Department and City Hall outlining a number of measures that included the placing of "Big Bags" of sand on the sidewalk and on the beach to prevent further erosion in up to a dozen areas. The first main thing to do, he said, was to sort out drainage problems in the city and on beach road so that flood water flows where it is meant to go - and not all over the beach. These initial measures must be done first before a budget of 105 million is sought over the next 1 to 2 years to improve drainage in the wider area of Pattaya. 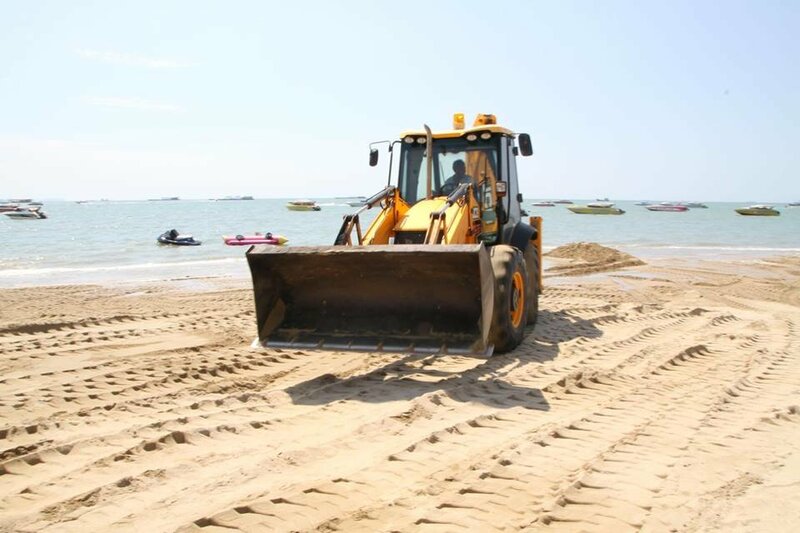 Thaivisa notes that Pattaya residents will be keeping a close eye on what happens in the beach area next time there is serious rain as experienced in the last few days. 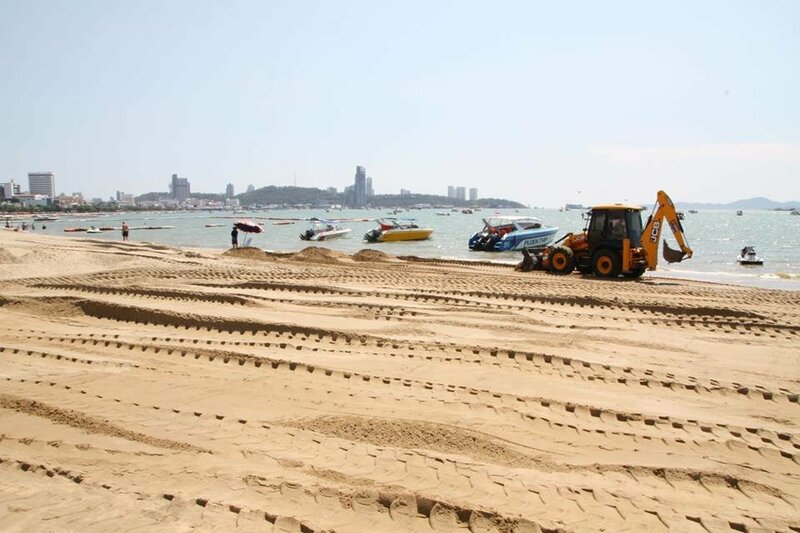 More than 400 million baht was spent on sand on a 2.8 kilometer stretch from North to South Pattaya, a project that was only recently finished and faced its first heavy rain test this week. Get some farangs on the committee that can think “pro-active” on what to do. 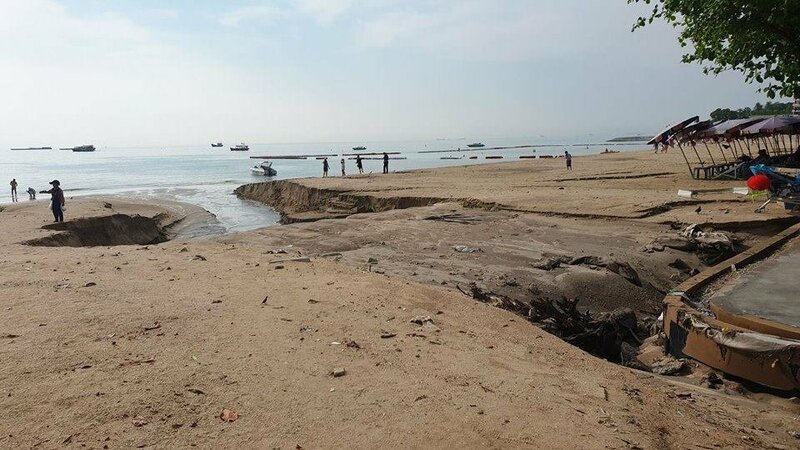 You do not invest on beach renovation until you take care of the water run-off from the sois during the heavy rains. A real engineer would know this. You can not fix stupid. to avoid further damage to tourism just punish vicious farangs posting pictures for violating the computer crime suppression act. Solved. What utter rubbish! Piss poor planning is the problem, human error is also a problem, get in touch with reality you morons! So why waste 400 million Baht on something they 'can't do anything about'? Looks like this weeks hard-of-learning award winner. Jatuporn﻿﻿ said the situation was very concerning and the pictures on social media looked simply﻿ awful﻿. He wants to be careful dissing Ma' Nature for this or she may come back with a storm worthy of the name and wash the whole thing away ..
Who the hell needs this beautiful beach? Firm it up and make a big parking spot for tour busses out of it. Sadly, I bet the same shower will be in charge next time. i was down beach road this morning from soi 7 to walking street and it was deserted very little chinese and thais sitting looking totally fed up so it is having a big effect for sure with the condition of the beach craters everywhere maybe they need advice from people who know about this issue.